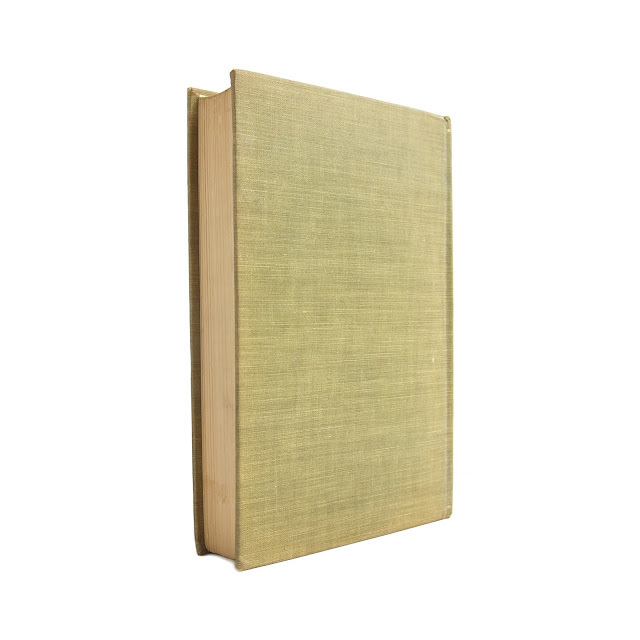 This antique hardcover book is bound in green cloth boards with gilt lettering on the front and spine. Cover lettering is trimmed in a gilt wreath. Top page edge is gilt. 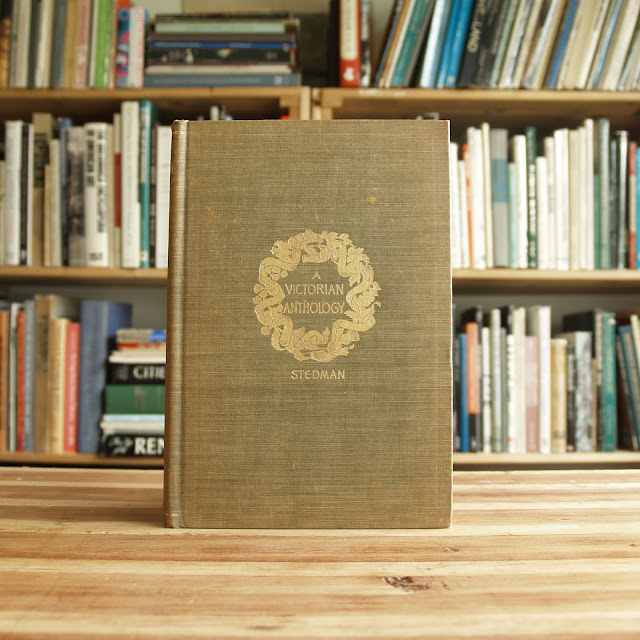 Cover has mild edgewear; spine slightly faded; front endpaper excised; inner pages clean. 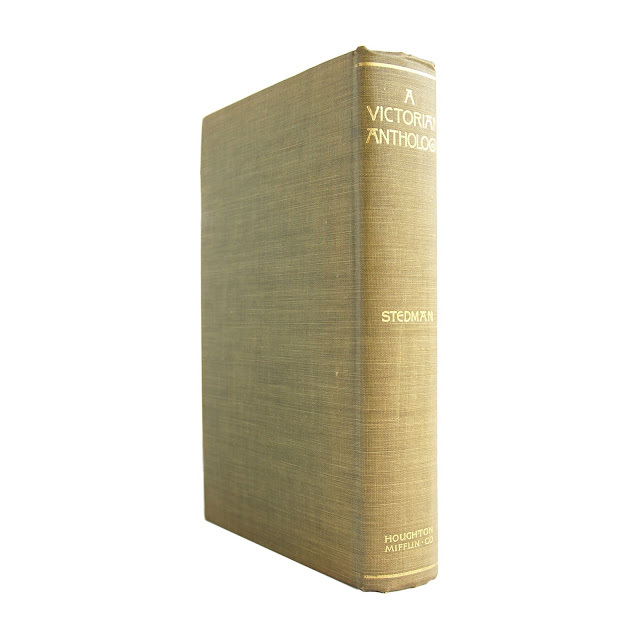 Frontispiece is a portrait of Queen Victoria; title page has photograph of the Poet's Corner in Westminster Abbey. 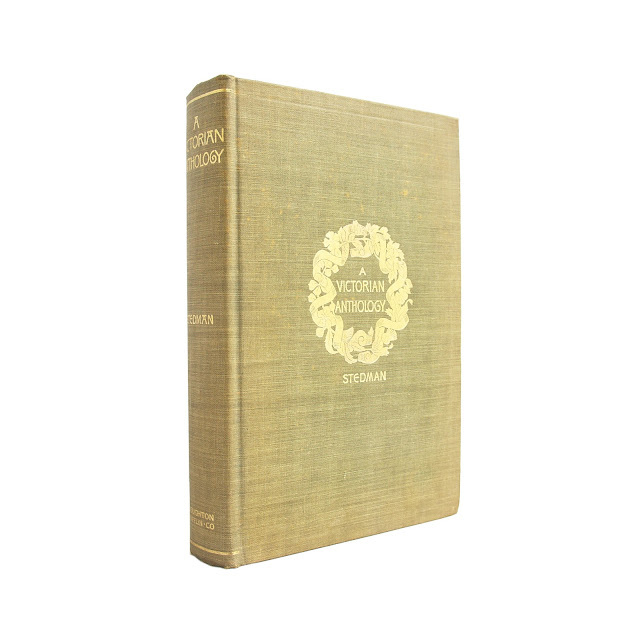 Includes notable poetry of the Victorian Era. 744 pages, including index; approx. 6"x9".